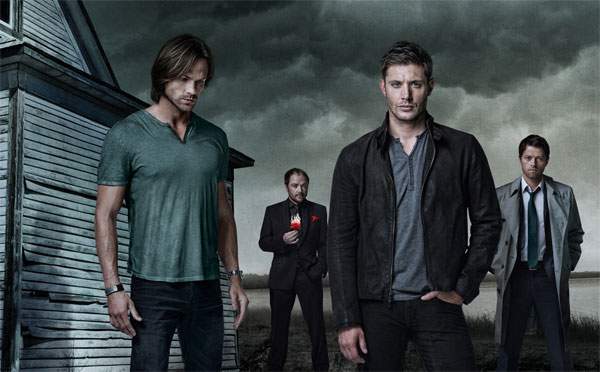 The season is faring in its last, and the penultimate episode will witness Sam and Dean Winchester still fighting against their darkest enemy the Darkness itself. Below, we have the spoilers and some information required for the next chapter in the series. In the last episode, i.e., 20, we saw the return of Chuck Shurley while Amara continued to devastate the world. Amara wreaked her havoc on a small town and covered with a mysterious fog due to which people went crazy. Sam and Dean found out it contained the original version of black vein virus. The television network, CW on which the series airs have released the synopsis for the final episodes. They make it clear that we are going to see more of the main story which involves The Darkness. Very soon, we will find Dean and Sam fighting Amara. As per the information available from the synopsis of ep 21, we can say that Amara will capture and torture Lucifer. She will set him to the peak of her fury to show Dean that how extreme she would go to give pain and torture him. In the meantime, Castiel gives a new concern to Deam and Sam. Amara is also torturing Castiel, so we will see Winchester brothers devising a new plan to save Castiel from the wrath of Amara. We will see good one-liners and other stuff along the way. Below is the official promo for Supernatural episode 21 of season 11 upcoming episode.